is unique and one of the first of its kind with Bluetooth that will enable connectivity to your Smartphone from where you can monitor your teeth cleaning habits. GOOD OR BAD! 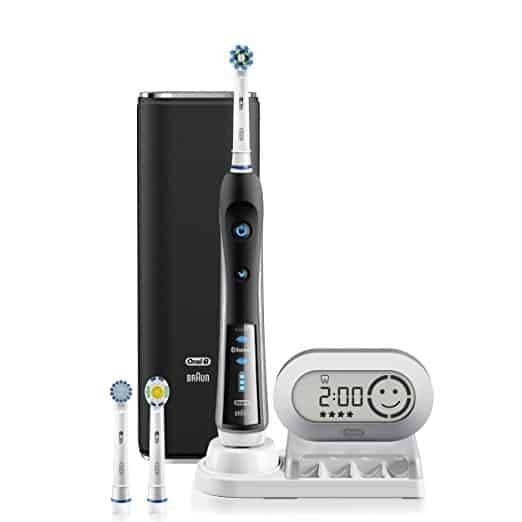 The Oral B Pro 7000 which is manufactured by the number one recommended brand by dentists worldwide has lots of unique features built with advanced technology to ensure that you have the best experience in using the toothbrush and that you do not damage your teeth. It’s very stylish and would look great in any home, with all it’s sophistication it is relatively easy to use. • It has a rechargeable battery that guarantees you 40 minutes of usage time. • Built with 6 cleaning modes: daily clean, gum care, sensitive, whitening, deep clean and tongue cleaner. • A visible pressure sensor which indicates a signal on how hard you are using the toothbrush. • It has a wireless smart guide. 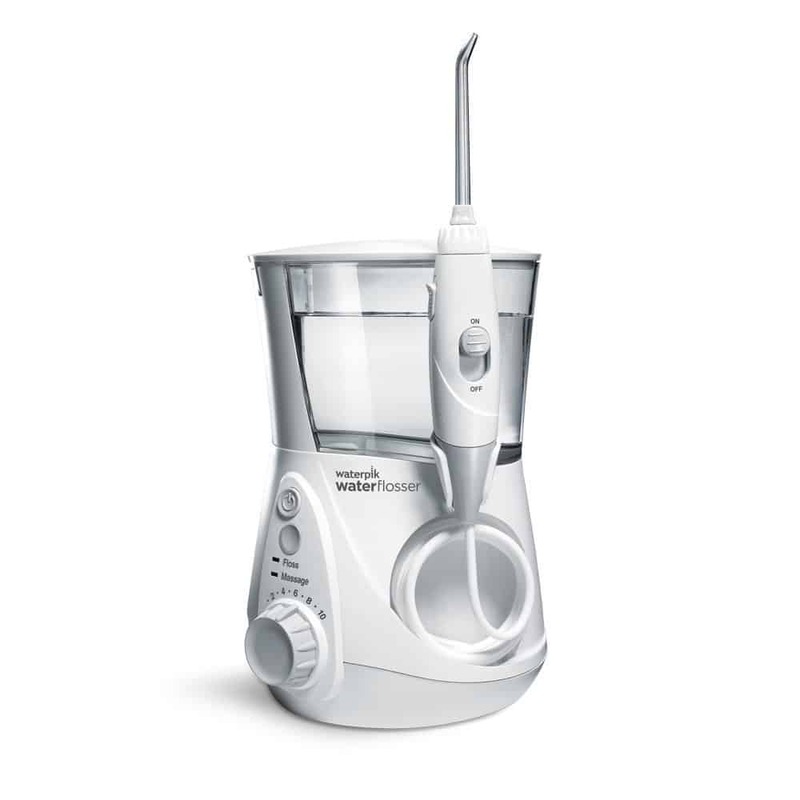 • It has a 3D cleaning oscillate, rotate and pulsate that break up and remove more plaque than an ordinary toothbrush. One Oral B electric toothbrush handle. One Cross Action Brush head. A charging station that includes one premium charger along with refill head storage. There are two colours to choose from: Black or white. 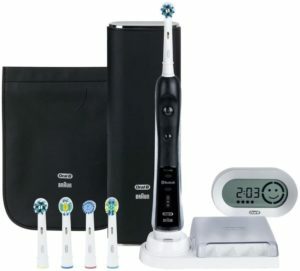 You should note that if you choose the white colour the price goes up to $145 but if you stick with the black one you only pay $119.97 because they currently have oral b coupons for the 7000. 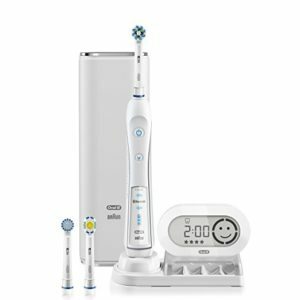 What’s The Deal With The Oral B 7000 Wireless SmartGuide? The Wireless smartguide might seem as a bit of a gimmick, but actually it can transform the way you brush your teeth forever as it helps you clean your teeth to an excellent standard for both children and adults. The display shows the cleaning mode you have selected and has a timer when the brush is in use, a star rating and of course the face. For example: if you take a 2 minute normal clean, the timer will count upto the 2 minutes while the quadrant graphic changes colour after each 30 second phase. after each 30 seconds the brush beeps an audio signal for you to change your quadrant position. If you are doing it properly there will be a smiley face or if you are not brushing properly, the dreaded sad face will appear which means you are a failure and need to try again. Another cool thing is that the brush will flash red if you are brushing too hard and will automatically adjust the speed of oscillation to help protect your teeth. It has 6 cleaning mode which makes it suitable for all kinds of people and with any kind of condition such as gingivitis etc. Thorough cleaning with a timer set at 2 minute interval to ensure that all the different quadrants in your mouth are cleaned thoroughly. The Oral B Electric toothbrush has a long battery life that can last for 10 days without recharging. The pressure sensor present in the Oral B 7000 helps prevent injuries and ensure proper cleaning as it will notify you by the light indicator if there is too much pressure being applied on the handle and your teeth. The smart wireless guide ensures that you use the toothbrush properly, with its portable timer that shows you how long you have brushed, the cleaning mode you are using and how well you have been brushing. It comes with all necessary equipment that you will need. No need to buy separate things for it. There have been complaints that the toothbrush power cuts off and resumes when in use which kind of disrupt the brushing sequence. It cannot be used by children below 3 years of age. It is a little bulky and thick at the handle. you simply can’t go wrong with this exclusive toothbrush. ”This toothbrush is great for travel as well as home use. It’s powerful and has lots of settings to customize it” Published by Ronald Newhall. ”This is my third Oral-B electric toothbrush over the last 7 or 8 years. This product is a replacement for my last Oral-B toothbrush, for which the battery stopped charging consistently after about 4 years of regular use. My dentist swears by this product and my visits to him twice yearly are my evidence of how well it works” Published by Chi-town Guy. ”The toothbrush does it’s job really well; however, if I had to do it all over again, I would likely have purchased 5000 or some other lower model because I’ve found I don’t use any of the extra features” Published by Gibson Guru. Final Verdict: Is The Oral B 7000 Electric Toothbrush Worth It? Q. 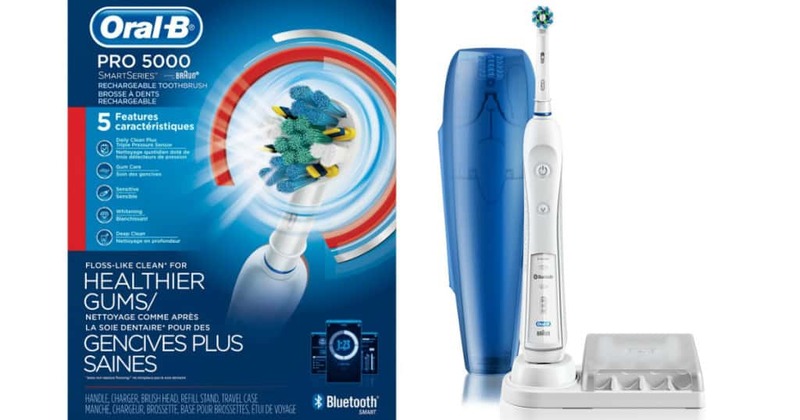 How does Oral B’s technology compare to regular manual toothbrushes? A. 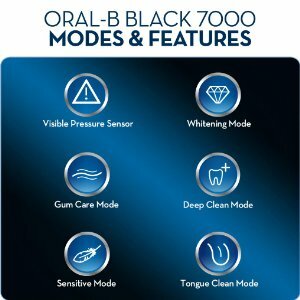 The oral-b black 7000 smartseries with Bluetooth technology was built for tooth by tooth precision cleaning to remove 100% more plaque along the gum lines than a regular manual toothbrush could ever. Q. Which Brush heads are compatible? Q. 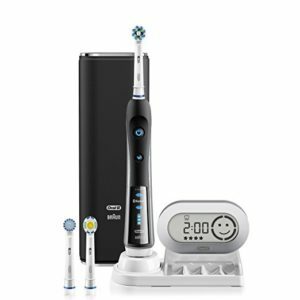 Where can i buy the Oral B Pro 7000?